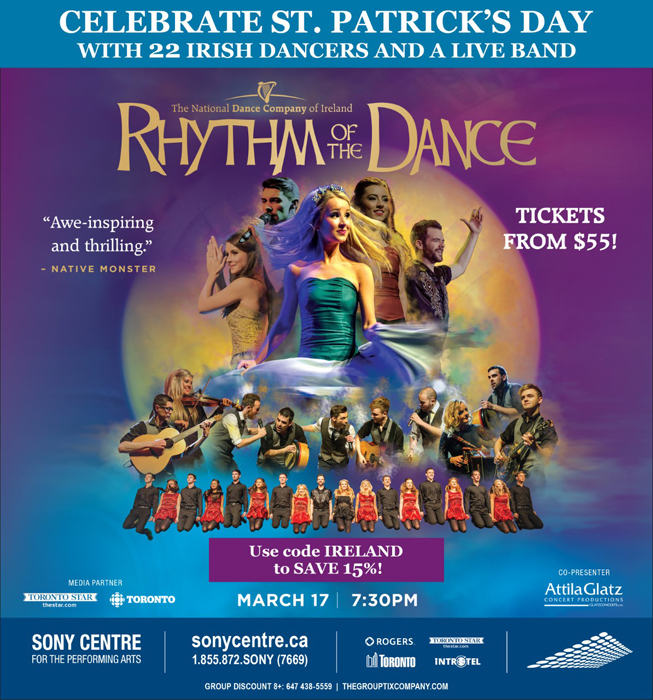 We want to thank Rhythm of the Dance for offering our readers two free tickets last month to its show at the Sony Centre on March 17. The winner is J. Lam. The performers are from the National Dance Company of Ireland. It’s truly Ireland in Toronto. I wish I could see it too.